The Knowledge Transfer Programme aims to create knowledge platforms that straddle the researcher-practitioner divide and are better positioned to develop nuanced policy responses to complex urban sustainability challenges facing Cape Town. Through these knowledge platforms new and different knowledge’s will be brought to bear on policy-making processes and the legibility of these processes, to those not directly involved, will be increased. The purpose of the Knowledge Transfer Programme is to explore institutional collaboration between the university and municipal authorities, in the interest of sustainable and just cities. The project has been running since 2012, and is currently in its second phase. The first phase involved 4 PhD researchers being embedded in various departments within the City of Cape Town. In addition, a writers exchange was organised where academics and municipal officials co-authored academic articles. Given the success of phase one – in academic output and influencing policy – a second phase was conceived. Two PhD researchers (Sean Cooke and Craig Davies) have been embedded in the City of Cape Town in the Transport and Development Authority and in 2018 will be commencing the second year of their PhDs. In support of the research, a transit-oriented development (TOD) working group will be convened in collaboration with other embedded researchers, academics from the Centre for Transport Studies at UCT and members of the Gauteng City Region Observatory (GCRO) who are also working on TOD. Dr Sylvia Croese will be embedded in Operations Policy Management, and will be focusing on researching the implementation of SDGs, the New Agenda and 100 Resilient Cities as part of the comparative SDG project. A reference group of experts from the City of Cape Town and relevant research units is being convened to support the research process. An embedded researcher will also be placed between the Arts and Culture and Architecture departments within the Social Services Directorate. The embedded researcher will be working on cultural policy and planning. The researcher will be part of a cultural planning research team between the City of Cape Town and the ACC. The follow-up book on climate change in Cape Town co-produced by City officials and UCT academics (edited by Di Scott, Mark New and Helen Davies) will be published by UCT Press in 2018. There will be further rounds of the CTLIP City officials exchange programme, whereby officials from the City of Cape Town document and reflect on their practice, and write scientific articles together with academics. The researchers are supporting the policy process by contributing new knowledge, establishing and strengthening reference groups made up of stakeholders from within local government, higher spheres of government, the private sector and civil society organisations to share perspectives and debate options, and documenting the process of knowledge flows and public decision-making. In turn, City officials with a deep involvement in urban sustainability policy development are selected to spend a total of 2 months at the University of Cape Town receiving guidance and support in writing and publishing their account of policy development on their respective focus areas. They thereby contribute to making policy processes more legible and disseminating practical knowledge and experiences of urban (un)sustainability. This short film captures the key messages and debates emerging from the first Southern Africa Adaptation Colloquium, held in November 2013 and co-hosted by Mistra Urban Futures Cape Town platform’s Climate Change Think Tank, a partnership within the Knowledge Transfer Programme. Members of the partnership include The University of Cape Town’s African Climate and Development Initiative (ACDI), the Adaptation Network, SANBI, the National Implementing Entity for the Adaptation Fund, the National Research Foundation, and the Western Cape Government. The film was produced to make available the discussions to audiences that weren’t able to attend the Colloquium – particularly people working with local government in African cities. Round 1 commenced in November 2012 with 6 City officials taking part and four articles produced, co-authored by participants from the City and researchers, including "No messing in Bonteheuwel" about the transition from a degraded local environment to a place that the community is proud of. The second round of the Cape Town LIP Officials Exchange Programme started in September 2013, with the number of City Officials increasing from 6 in the first round to 8 candidates being selected to write in partnership with supervisors from the University of Cape Town. The third round of officials from the City recently met with their writing partners for a workshop. Smit, W., Lawhon, M. & Patel, Z. (2015). Co-producing knowledge for whom, and to what end? Reflections from the African Centre for Cities in Cape Town. In M. Polk (Ed. ), Co-producing Knowledge for Sustainable Cities: Joining Forces for Change (47-69). Abingdon, Oxon; New York, NY: Routledge. Roux, S. (2012). Climate Change, Energy, Food Systems and Food Security: a Complex Interaction [Unpublished report]. Lawhon, M., Taylor, A., & Patel, Z. (2012). 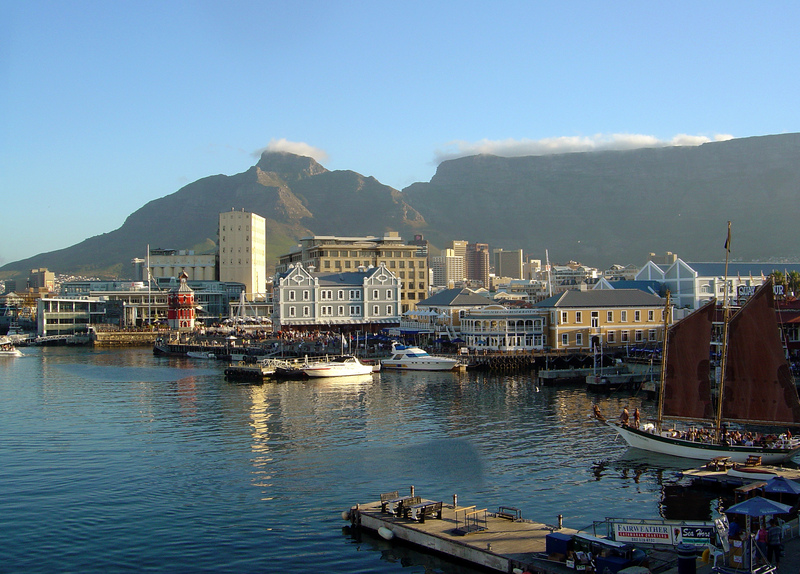 Co-producing knowledge on urban sustainability through local government-university interactions: A case study of Mistra Urban Futures in Cape Town. (ICLEI State of African Cities Report 2012). ICLEI - The Global Cities Network. Peter Ahmed works for the City of Cape Town. Dianne (Di) Scott is a human geographer, with a focus on urban studies, who is currently an Honorary Research Fellow at the University of KwaZulu-Natal, Durban, South Africa and a senior researcher in the Africa Centre for Cities and Environmental and Geographical Sciences Department at the University of Cape Town. 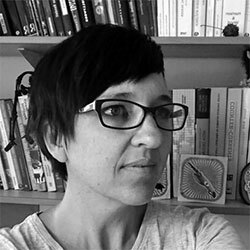 Claire Holderness works for the City of Cape Town as Transportation Planner.